Micron backing - durable, smooth & low diameter. 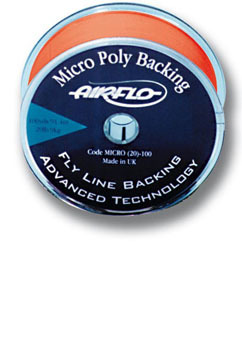 Ideal for large arbor reels which frequently skimp on space for backing. We use the 100yd x 20lb for most trout reels & lines & the 175yd x 30lb for most salmon reels & lines.